My thoughts on the second issue of Duck Tales and the first issue of a new Atomic Robo series – Spectre of Tomorrow! Woo-oo! Two stories of adventure, involving chickens, sheep, and…..
Two stories in this issue with the first being “Old Monteplumage Had A Chicken”. 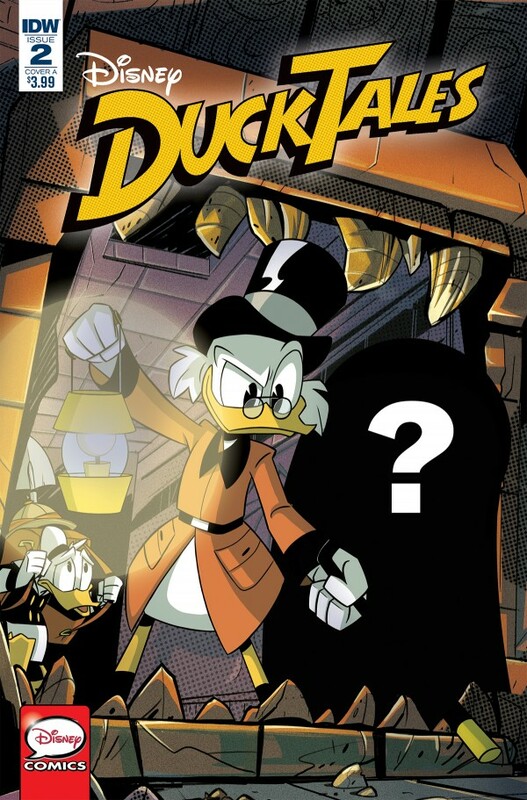 We get the ending first with this issue, with Scrooge, Della and Donald on their way back. There’s something wrong though as Donald has been shrunk! What follows is a flashback to the trio’s adventure in South America, with a cursed golden chicken! It’s a fun read, with plenty of humour. The result is well done too and I like the joke at the end! “A Viking At My Door” features colder climates and Donald is stuck in trouble again! We also have Scrooge and Della as well, and we’re off to another flashback! We get time-displaced vikings and enchanted sheep! Scrooge’s comments about the solution to the Vikings problem is pretty funny – cold hard cash! Both of these stories had some fun art, with some nice flows in them. The humour is spot on with some adventure and some nice slapstick! This originally feels like admin (I hate admin), but as we get into it there is some interesting points. 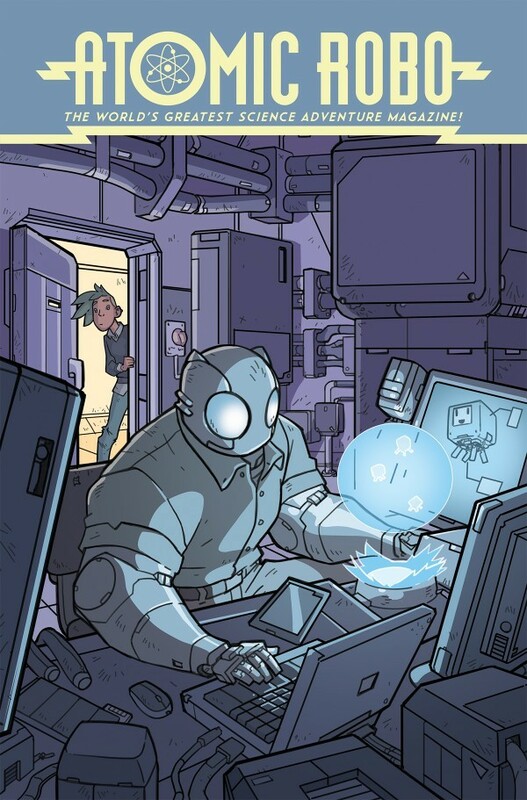 Mainly they are away from Atomic Robo, but you can be sure he is going to get involved! The team was really well written as the reactions to the atmosphere is very clever, and I understand the reaction to being on hold! We get a nice cameo of Richard Branson too – and he has a speaking part! I do wonder if this is how it is really? I’m looking forward to the next part as the cliffhanger has us set up well, I hope the pace picks up though!